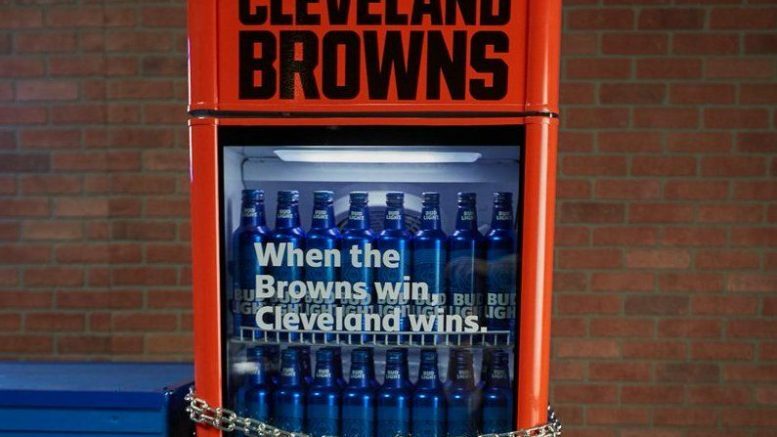 On Tuesday morning, news broke that Bud Light will be introducing a “Victory Fridge” for the Cleveland Browns. The purpose of this fridge is to reward the fans when the Browns snap their winless streak that dates back from the 2017 season. New York, NY (August 14, 2018) – A Cleveland Browns victory is about to taste even sweeter.